It’s a special election here in Mass, as Commonwealth voters head to the polls today to choose candidates who will seek the Senate seat vacated by John Kerry’s appointment to Secretary of State. Does it have the sexiness of the general election or the battle between Elizabeth Warren and Scott “Bqhatevwr” Brown? Nah. But it’s still important to get out there and Vote. On the Democratic side, you are picking from either Ed Markey or Stephen Lynch, two established representatives already down in Washington. The Republicans are looking to pick between three candidates, Gabriel Gomez, Michael Sullivan and Daniel Sullivan. Polls are open today from 7:00 a.m. until 8:00 p.m., and you can find your local polling place using this handy tool from the state. Don’t tire yourself voting today – the general election is a few months away on June 25th between the winners today. The Boston Globe is reporting Thomas Menino will not seek a sixth term for Mayor of Boston. An official, public announcement by the Mayor on the matter is expected to come at Faneuil Hall Thursday afternoon. The Mayor has held office since 1993. The Boston Globe also reported yesterday on results of a poll conducted with Boston residents demonstrating the Mayor’s immense personal popularity, but also voter ambivalence over whether he should run for a sixth term this fall. Menino, 71, has suffered from extended hospital stays and poor health over the past year. 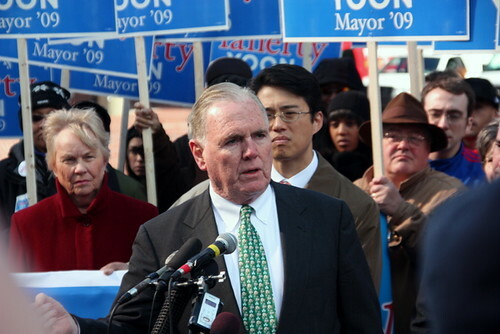 Notably, Mayor Menino’s departure sets the stage for the first open mayor’s race in Boston since 1983, when Ray Flynn beat Mel King for the office vacated by retiring Mayor Kevin White. Do you realize there have been only four mayors in the last 53 years in our fair city? John Collins, who held office 1960-1968. 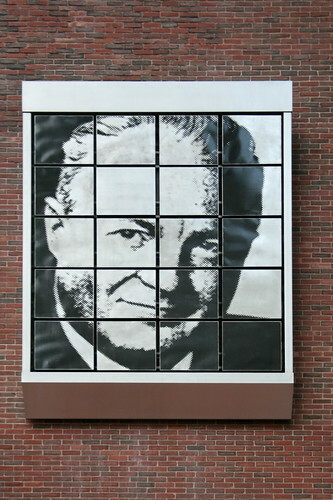 His personage overlooks pedestrians from the side of City Hall, as he presided over the reconstruction of Government Center. Kevin White, serving 1968-1984. 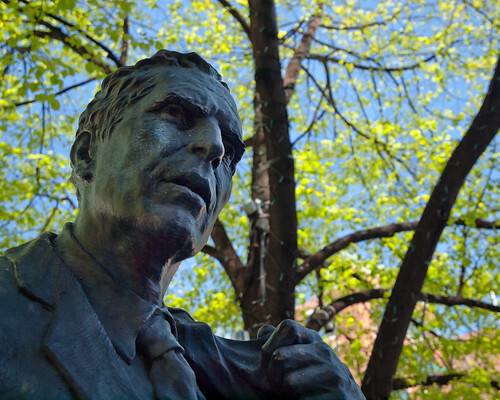 His four terms spanned the civil rights movement, school busing crisis, and very beginnings of Boston’s urban renaissance with the opening of Quincy Market in 1976. Ray Flynn, serving 1984-1993. He resigned his office when the newly-elected President Clinton appointed him Ambassador to the Holy See.